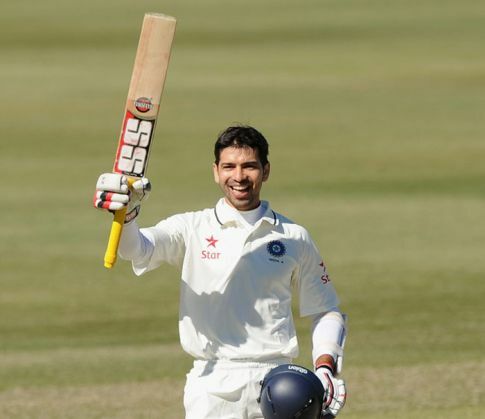 The freak injury to Wriddhiman Saha opening the door for him after a "long wait", Indian wicketkeeper-batsman Naman Ojha on 26 August said he would be "under pressure" to perform if he makes the playing XI in the decisive third cricket Test against Sri Lanka starting on 28 August. "There is a little bit of pressure yes, because I have got this chance after a very long time. But I am not thinking about it. I have waited very long and I am just looking to enjoy my game and enjoy this moment," Ojha said in anticipation of his coveted Test debut. "It was an absolutely amazing feeling to be called up for this Test. It felt really good. I am preparing well, and playing against Australia-A last month was good. So I am in a good shape and fingers crossed, I will perform well," he added. Ojha played one ODI (vs Sri Lanka) and T20 Two Internationals, way back in 2010, in a short limited overs tour of Zimbabwe. Since then he has been on the fringes, on tour as second or third wicketkeeper in recent times. "I played only limited overs cricket and then was dropped. I went to domestic circuit and worked hard. I kept telling myself that I needed to work hard to play well again. Most of all I needed to keep scoring runs and more runs and more runs. And I kept myself fit so when the next chance comes, I can make the most of that," said the MP stumper. Asked if he has brought any changes in his style of keeping or batting, Ojha replied in negative. "No, I am not changing anything or not trying to develop anything. Whatever I am, I want to be the same player. The wicket can have turn and bounce but I love to play my shots," stated Ojha. "When playing for India A, seniors told me to just spend some time, so I was spending some time in the middle. But I think I spent too much time, usually I don't," said the keeper-batsman. When asked if there were any specific names he looked up to, the MP keeper replied,"I used to watch Adam Gilchrist play. He was an excellent wicketkeeper and an aggressive batsman. I watched Brad Haddin in the first Ashes Test. I watched how he was keeping to the spinners and how he was moving for the fast bowlers." Ojha admitted that he has had difficulty keeping upto spinners as it is not always easy to gauge the turn and bounce. "In sub-continent, it is always difficult to keep to spinners because you don't know which ball will turn or bounce. But I am working hard at it.